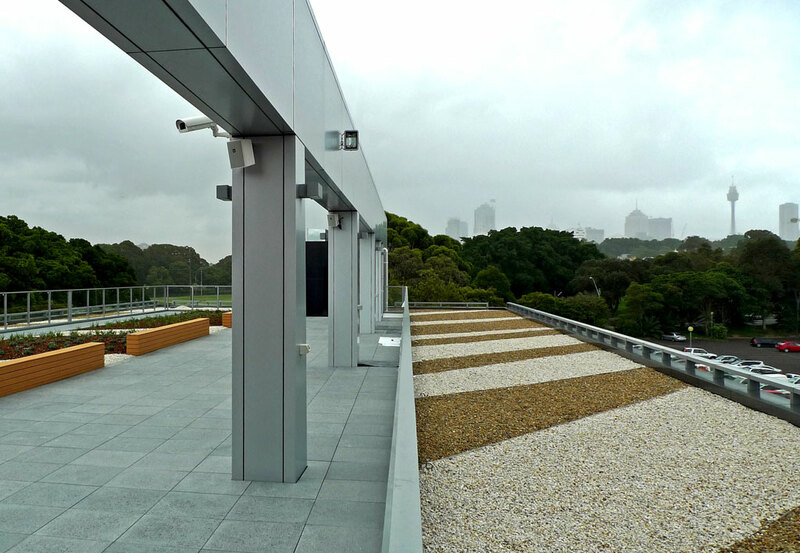 This recently completed state of the art office building in Driver Avenue, Moore Park is the new headquarters of the National Rugby League. 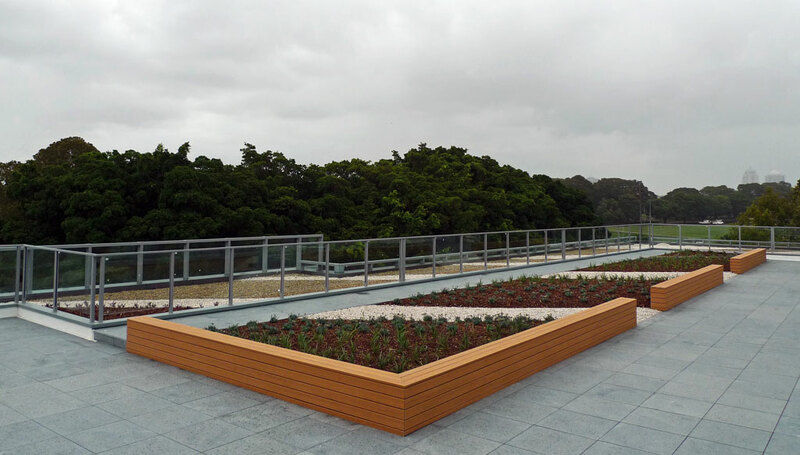 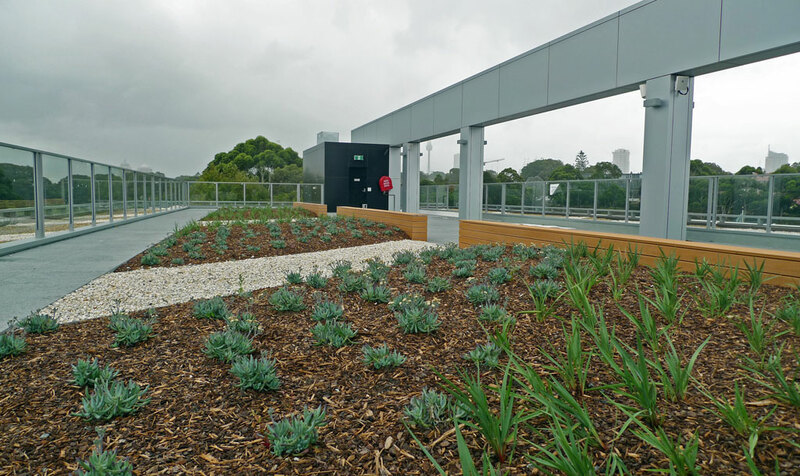 PGA was engaged by the Builders, Southern Cross Constructions, to design an extensive roof terrace garden to complement an expansive external recreation and function area. 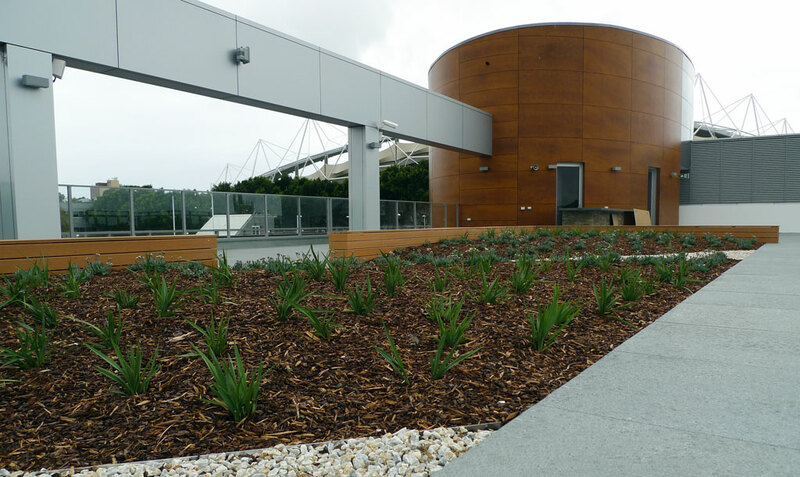 Structural limitations have necessitated a shallow soil profile featuring mass plantings of native grasses and succulents. 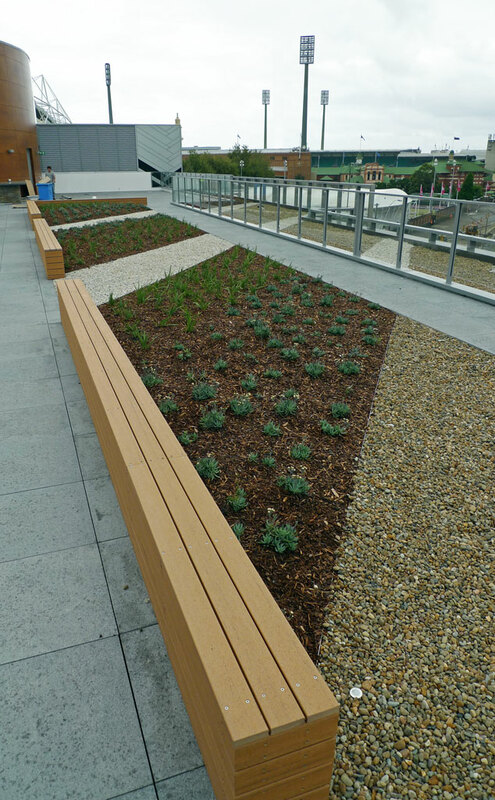 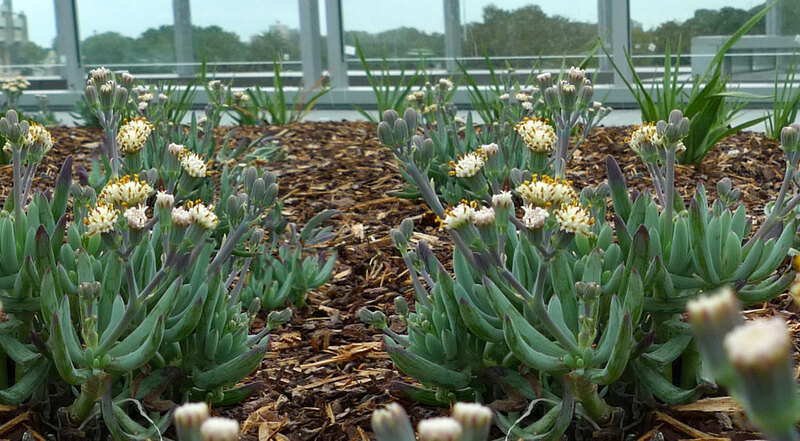 Other features of the roof garden include contrasting decorative gravels, modular timber seating and granite paving.